This November, when I crossed through Central Park during the last leg of the New York City Marathon, it was already dark. The police had opened the streets to the public and there were traffic and pedestrians where you would normally see spectators lining the route. It was eerily void of the cheers from crowds and the bustle of fellow runners that would fuel me to the finish line during my 24 previous marathons. It took me 10 hours, 5 minutes and 6 seconds to finish—I came in second to last and took more than twice as long as my typical finish time of 4 hours and 30 minutes. It was running that helped me discover something wasn’t right with my body. In that way, running helped save me. And it gave me a reason to stay strong amid the darkest days that were to come. Those dark days began with a beautiful spring one last year. I was running in Forest Park, Queens, when I felt short of breath and experienced overwhelming malaise not normal for me. I went home and scheduled my annual physical and had blood work done, but it all came back normal. A couple of weeks later, the left side of my body began to feel like it was shutting down. I had difficulty walking up stairs and little accidents like spilling coffee were becoming routine. It wasn’t until my wife, Susan, asked me to endorse a check and I couldn’t write my name that we both looked at each other and knew we needed to do something. In that moment we thought I was having a stroke, so Susan took me to a nearby urgent care center. I was evaluated by a physician who agreed it could be a stroke. 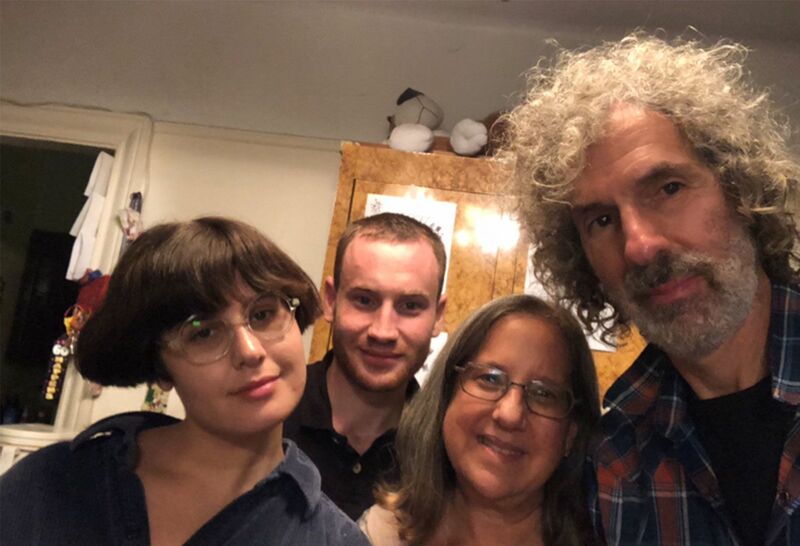 They quickly transported me to the emergency room at Northwell Health’s Long Island Jewish Forest Hills where I underwent brain scans and diagnostic testing. I was lying on a gurney in their busy emergency room when the attending physician walked toward us and closed the curtain. We knew it wasn’t good. Our world was about to be changed forever. “I wish I can tell you it was only a stroke,” the physician said. He proceeded to tell me the scans showed three masses in my head and one in my lung. It was definitely one of those out of body “WTF” moments, to say the least. So, this is what it’s like to be handed your death sentence, I thought to myself. Oddly, I also experienced a wave of giddiness. It’s crazy, I know. But in an instant, every problem I thought I had on this planet disappeared and I was relieved of everything but this one diagnosis. Susan and I stared at each other. There was devastation and tears, but we got it together pretty quickly and moved to the practical. After all, she had been through colorectal cancer only a few years earlier, so I thought to myself, it’s my turn now. I was soon transported and admitted to Northwell’s North Shore University Hospital where I began to try to process my situation. It wasn’t going well, as a fourth tumor was soon discovered and I began fixating on the weirdest things: “I don’t have a toothbrush,” I worried. “We’ll get you one,” the care team told me. “We can give you a hospital gown,” they reassured. “Don’t worry, we’re going to take care of everything.” It finally struck me—I wasn’t going home. They were true to their word—they took care of absolutely everything. 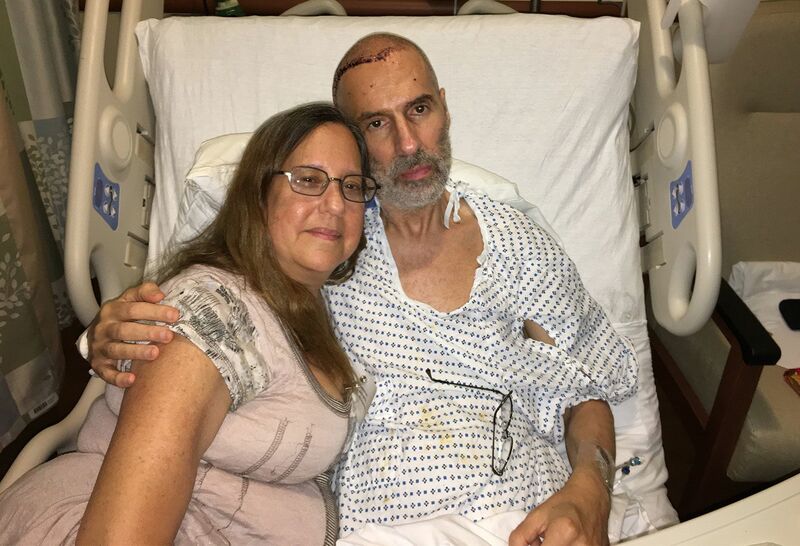 Which is good because leaving my house in Queens that day to go to an urgent care center, I never imagined I’d be admitted to a hospital and remain there for the next 18 days, following an 11-hour brain surgery to remove two of the four tumors in my brain. It was a lot to take in. There were ups and downs. I kept my eyes on the prize and kept moving forward. Two days after surgery, I got out of bed and walked the hospital floor. I felt triumphant. This is the beginning of my training for my next marathon, I thought to myself. As a runner, I always said: Let me always run and be well. After the surgery, I asked my neurosurgeon, Dr. Michael Schulder, if I would run again and be able to complete another marathon. He looked at me and nodded with full confidence. He was always kind to me. “When you have the energy and you’re comfortable, do it,” he told me. He let me decide my own pace and offered the power of positivity to figure it out. But no one promised me a cure or offered me unrealistic expectations. I have metastatic melanoma and there is no cure for it, but they are keeping my cancer under control, so I can continue to be me and live the life I want to live. Don’t get me wrong—there have been dark moments. In the days after my diagnosis, sitting in my hospital bed, I would visit “Dr. Google” and see all the grim statistics about my diagnosis, including the notion that I wouldn’t survive six months. I had to learn to resist and not go there. A few months later, an additional scan would show a fifth tumor in my head. 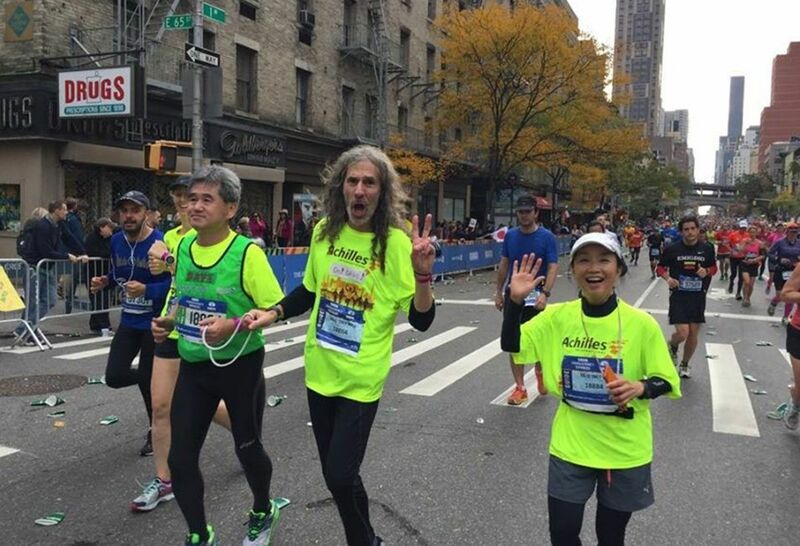 I missed the marathon that year—my first absence in two decades. It was tough. 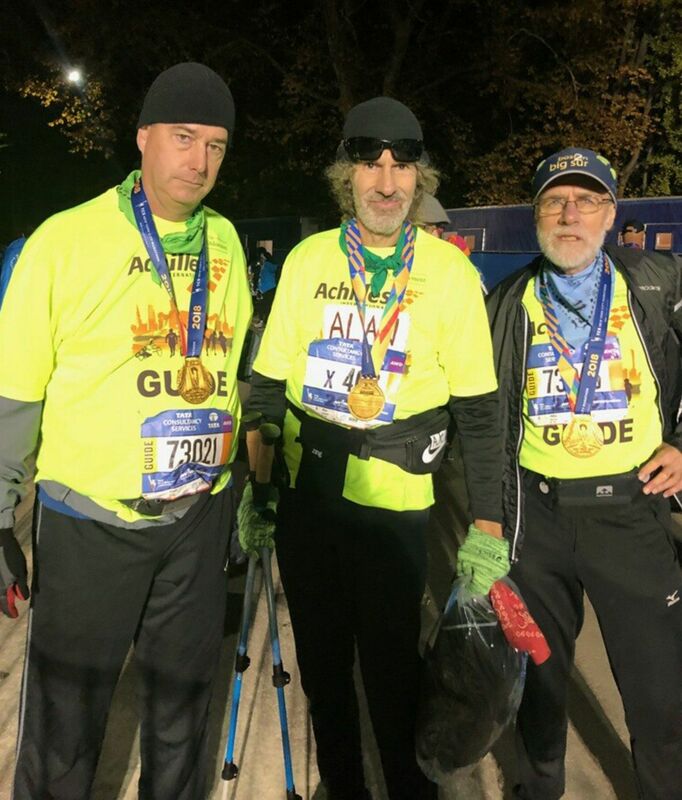 In addition to the marathons I ran as an individual, I also ran as a guide for disabled athletes 13 times through an organization called Achilles International. 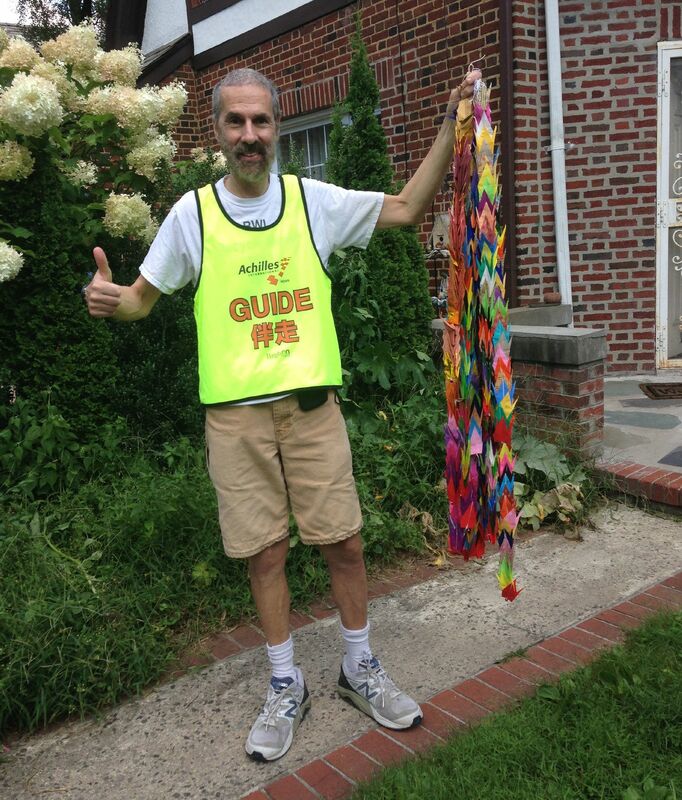 The nonprofit provides disabled athletes with a community of support, including guides for marathons. In 2016, I was an Achilles guide for Toshi Ito, an inspirational blind man from Japan. From Toshi and his family I learned of an ancient Japanese tradition that when someone gets sick, the community makes 1,000 paper origami cranes as a symbol of hope and healing. During my most difficult times, two beautiful, unexpected moments emerged: After the race I didn’t run, I received a box in the mail with a finisher’s medal. I cried when I saw that it was from my Achilles family. It was the hardest marathon I never did and also the easiest. I also received 1,000 of the most stunning paper cranes I’ve ever seen. There is such a beautiful bond with the community at Achilles International. 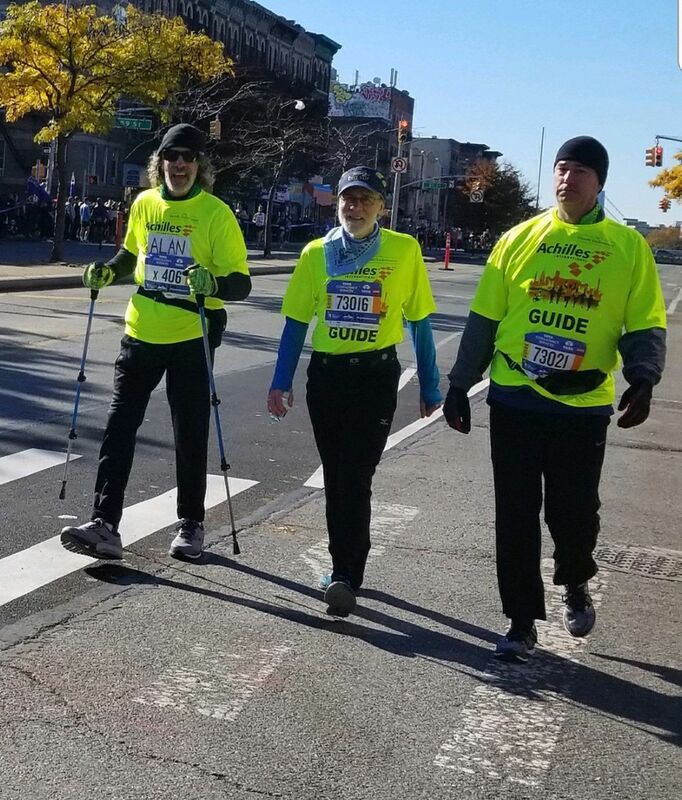 Running (well, actually walking) this year’s New York City Marathon with two Achilles guides of my own was a full circle moment. Make no mistake—this was not an easy marathon for me. I was the second to last person to finish the race. When I began mile 20 in the Bronx, my back started hurting more than ever before. I thought of quitting, but I didn’t. I had to stop every 15 minutes for the last 6 miles to stretch. When I crossed through Central Park, it was dark and the police had already opened the streets—there were people and cars where you would normally see spectators. It was getting dark. But I kept going. My plan is to keep pushing forward for as long as I can, and as long as the cancer treatments work. My goal is to complete the standard two-year course of treatment in July. This is now my full-time job. I’m walking around living with cancer. I’m walking around feeling good. I have the best care team possible. 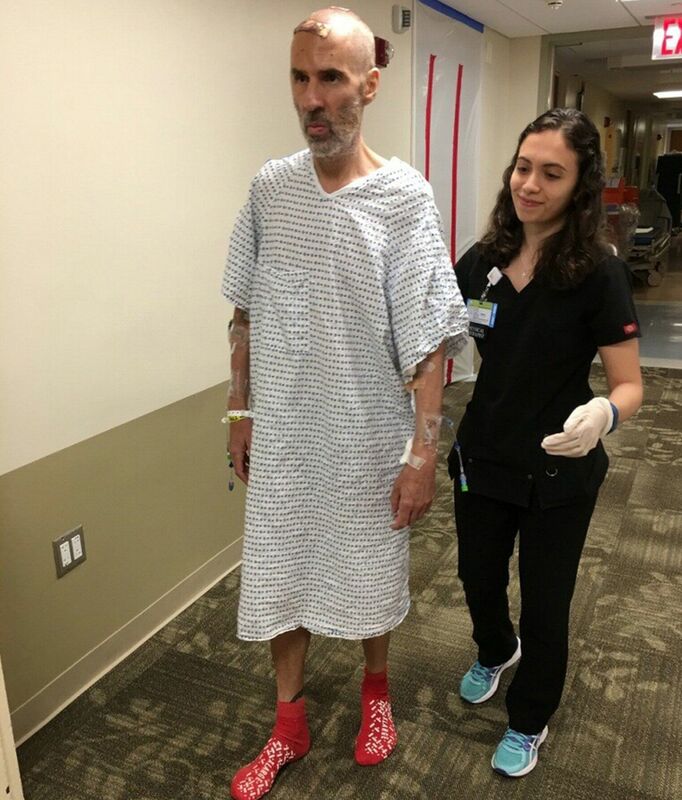 When I told my oncologist, Dr. Craig Devoe, I was going to run the NYC Marathon he was supportive, reassuring and positive, which is exactly what I needed in those moments of uncertainty. If this had happened eight years ago, I might be telling a very different story. But treatments have come so far, especially with immunotherapy, and people are living more comfortable lives with diagnoses that were previously considered terminal. Of course, I don’t fool myself into thinking they’ll do a scan of my body one day and suddenly find all the tumors gone. I’m realistic—you have to be when faced with the unthinkable. Having cancer is a horrible thing. But it has taught me to enjoy life and see the beauty in what I witness every day. I stop when it’s raining now and look up toward the sky and smile in appreciation and wonder. When I see a formation of geese flying overhead, I see it as complete beauty and I’m grateful to have witnessed it. Cancer is not the death sentence I immediately thought it would be. I’ve learned a lot about life and a lot about love and kindness from all kinds of people, including those I don’t personally know. There’s a certain beauty to it if you look at it in the right way. It’s not the end of the world yet. I’ve accepted the fact that I’m sick. I don’t know how much time I have, but I feel good. Even a cup of coffee suddenly tastes better to me. Meet Dr. Michael Schulder, neurological surgeon. Meet Alan's oncologist, Dr. Craig Devoe. 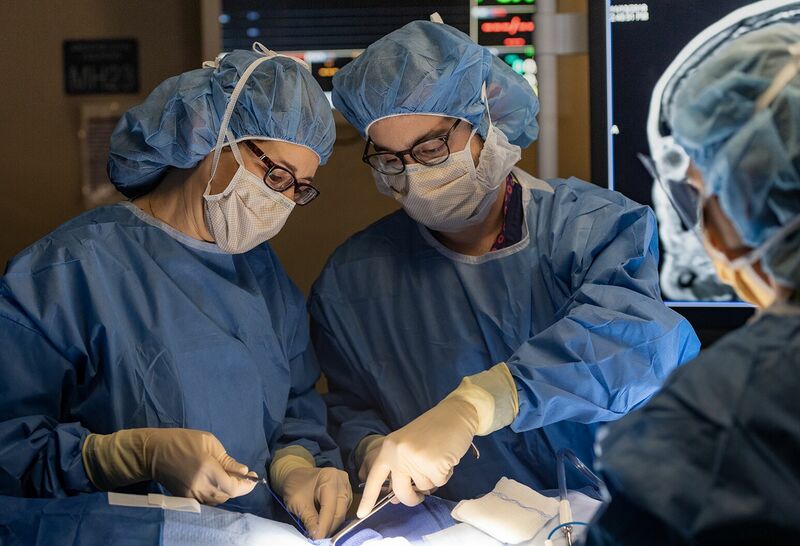 Learn more about Northwell Health's Institute for Neurology and Neurosurgery. Visit Achilles International and see how they enable people with all types of disabilities to participate in running events. 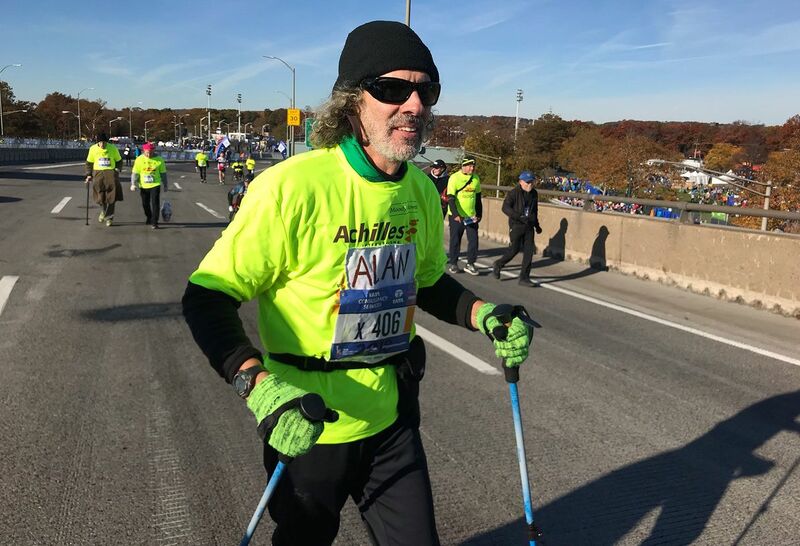 Read Sven's story on why he decided to run the NYC Marathon after recovering from a rare neurological disorder.